Former Primate of Poland, Cardinal Jozef Glemp, who led Poland's Roman Catholic Church through the transition from communism to democracy, has died aged 83. The Archbishop of Warsaw. Kazimierz Nycz, has said in a statement that Cardinal Glemp died in hospital from lung cancer after suffering from a long illness. Cardinal Nycz called for prayers for the late cardinal, who was one of the cardinal electors during the 2005 selection of Pope Benedict XVI. 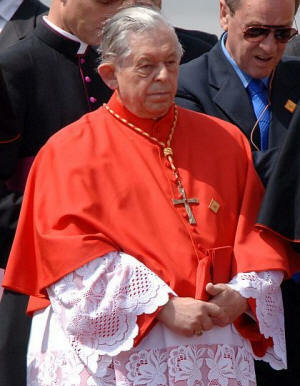 Cardinal Glemp, born in December 1929 in Inowrocław, Kujawia, was appointed Primate of Poland after the death of Cardinal Stefan Wyszyński in 1981, a position he held until December 18, 2009. He served the Polish Church for most of the papacy of the Polish-born Pope John Paul II, a time when the church enjoyed huge influence in Poland. Vatican City, 24 January 2013 (VIS) – The Holy Father has sent a telegram of condolence to Cardinal Kazimierz Nycz, metropolitan archbishop of Warsaw, Poland for the death of Cardinal Jozef Glemp, archbishop of that archdiocese from 1981 to 2006. Cardinal Glemp died yesterday at the age of 83. 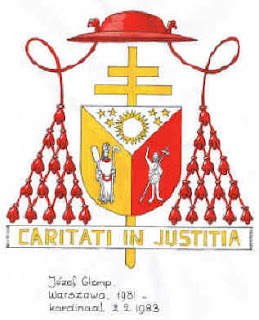 "'Caritati in iustitia'—for charity in justice—this episcopal motto accompanied him throughout his entire life and guided his way of thinking, of judging , of making decisions, and in offering guidelines of pastoral outreach. He was a 'just' man, in the spirit of St. Joseph, his patron, and those who, in biblical tradition, knew how to listen to the voice of God's call, addressed not just to them personally, but also to the communities to which they were sent. Such justice, full of humble obedience to God's will, was the basis of his deep love for God and man, which was his light, inspiration, and strength in the difficult ministry of leading the Church at a time when significant social and political transformations were affecting Poland and Europe." 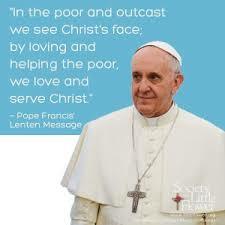 "The love of God and of Church and his concern for the life and dignity of every person made him an apostle of unity against division, of harmony in the face of confrontation, of the building of a happy future based on the past joyous and sorrowful experiences of the Church and the nation. Continuing the work of Cardinal Stefan Wyszynski, in constant communion with and spiritually connected to Pope John Paul II, he resolved many issues and problems in the political, social, and religious life of the Polish people with great prudence. Trusting in Divine Providence, he looked hopefully toward the new millennium into which he led the community of believers in Poland." "The last stage of his life was tried by suffering, which he endured with a serenity of spirit. Even in this test he remained a witness to trusting in the goodness and love of omnipotent God." "Personally, I always appreciated his sincere goodness, his simplicity, his openness, and his cordial dedication to the cause of the Church in Poland and in the world. Thus will he remain in my memory and my prayers. May the Lord welcome him in His glory."